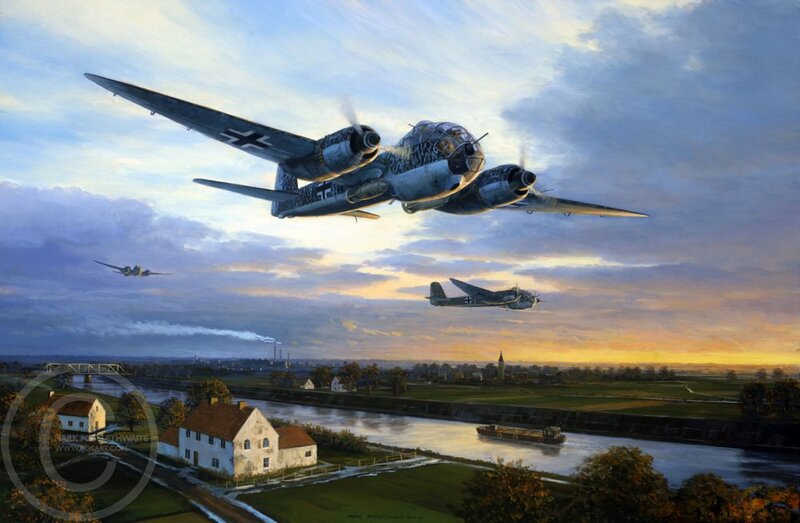 Junkers Ju188s of KG6 heading to refuel before a mission over London as part of Operation Steinbock. Prints signed by the artist and the pilot of the lead Ju188 Karl Geyr. Artist's Proofs with extra signatures available, £75 please email for details.